As Whether you want to admit it or not, windows on a house are a commodity. As time goes on, you will “use up” your windows. The windows in my house are construction grade windows that were original to the house 24 years ago. The seals on the windows are still good, but they look terrible and are not very sound proof or energy efficient. So I started researching vinyl window replacement, and honestly it’s a pretty strange world. 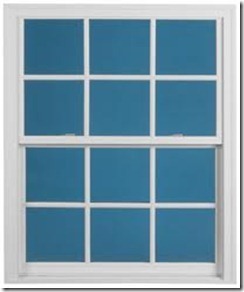 There are a few ways to approach window replacement, but ultimately if you want to do it the cheapest, you are probably going to have to buy the windows yourself and install them yourself. The alternative to this of course is to call a professional company, and most likely they will send a sales representative (usually who works off commission) to come to talk with you on pricing. The situation feels entirely like a used car sales situation, but with more gimmicks. “Buy Two Get One Free,” “Free TVs,” and “50% off if they can showcase your house.” But the gimmicks don’t just stop there. Kevlar brackets, wool-fiber transition seals, bulletproof glass material vent latches, foam filled windows, and low e filter. What they don’t tell you is that the glass they use is most likely identical to that of windows found in the stock windows at Home Depots or Lowes. Truth be told, there are only a handful of window glass makers, and most of them distribute to local window sellers to be cut. Is there a difference between their frames and Home Depots? Almost certainly. 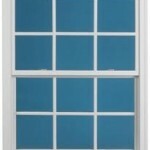 The biggest difference overall probably is the finishing features, the trim of the window. As for the gimmicks like Kevlar brackets, I’m not sold it really is that big of a difference. But rest assured that most window salesman will tell you that their window is better and any competitor will improperly install their inferior windows if you choose them. Also all sales representatives will say “they custom make your windows.” But rest assured that is exactly what Home Depot will do for you as well. I ordered a custom made window from Home Depot today. 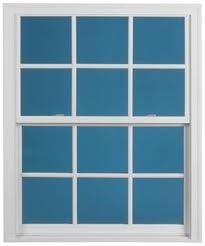 An American Standard 39.25 by 57.625inch single hung, argon filled, low e, energy star rated, replacement vinyl window with the grid in the glass. The cost: $169.57 before discounts. Cost after discounts: $153.49. Now I am certain that if I talked to a windows representative, they would tell me this window is trash and that it will fail, but you know what? I intend on finding out first hand. I’ve put my money where my mouth is, and I’m ready to see first hand if these windows are similar quality. The sad part of the world of windows is the lack of reliable information. If you get online and do searches for brands, you will get completely bias reviews for literally any product line. Even installers of certain types of windows will bash the other high priced name brand windows. Ultimately I want to try the self-install method and see how it goes. The main reason is the window salesman are just too shady for me to deal with. They don’t break down pricing very well, they offer phony promotions, and you never feel that you truly have an understanding why their window is better than another window. They also will never sell their windows directly to you (because they don’t want to show the price of the item versus installation costs). Time to see if I threw away $153.49. I’ll keep you updated on this my vinyl window replacement.